A considerable amount of information has been reported on how various polymeric additives affect drainage rate and fines retention. When used as a drainage aid, polyacrylamide can overcome slow drainage of fiber furnishes containing high-yield pulps such as stone groundwood, hardwood pulps and recycled fiber furnishes. 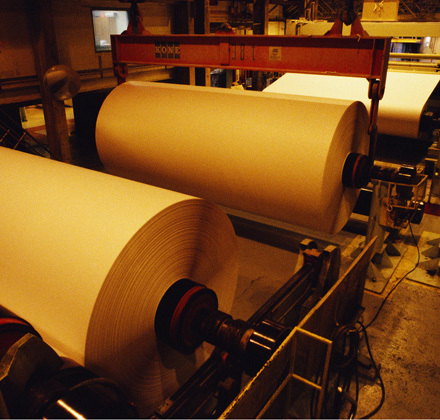 In addition, these additives improve the drainage of high-base-weight paperboard furnishes and drainage of paper machines that are drainage limited. Mineral fillers have long been used in papermaking, especially in printing and writing papers, as they add positively to sheet formation, brightness, opacity and printability, besides lowering furnish cost. The common of flocculation of these fillers is crucial in order to maximize their retention in the fiber web, due both to economic and environmental concerns. However, since retention has to be balanced with an adequate drainage of the wet web and a good formation of the paper sheet, fiber flocculation should be limited whereas flocculation of fine particles and retention additives should be maximized. In papermaking, cationic polyacrylamides are usually used as retention aids. The efficiency of these polymeric additives depends on several factors, namely flocculants characteristics (structure, molecular weight, charge density, and concentration), characteristics of the suspended particles, characteristics of the suspending medium (pH, conductivity, and ionic charge), contact time, turbulence intensity, among others. Some contaminants from the white water affect the flocculants properties and the particles surfaces, decreasing the flocculation efficiency. Furthermore, the reuse of the water increases the accumulation of solids in the voids between fibres. Moreover, flocculants overconcentration can also be a problem in papermaking due to its significant negative effect on dewatering. A high degree of flocculation, resulting in large flocs, reduces drainage time because it is difficult to remove the interstitial water from these types of flocs. The flocs characteristics are of great importance to improve drainage. The contact time between the furnish and the chemical additives must be also taken into account for the choice of the retention system. The long contact times can drastically reduce the effect of the flocculants and thus the process efficiency. The polymer structure is another parameter that affects the flocculation, drainage and retention performance and thus the wet-end efficiency.